Celebrating 15 years of the Columbia River Pastoral Letter, 2001 – 2016, at Winter Waters 2016. Fr. 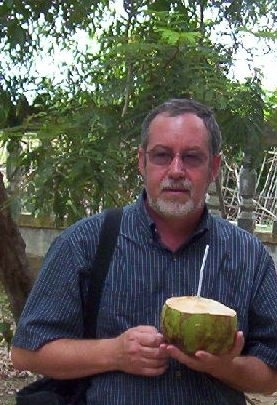 Coble is a Jesuit priest and has just finished his twenty-ninth year of teaching mathematics at Gonzaga University. He also is a residence hall chaplain and assists with university liturgies. 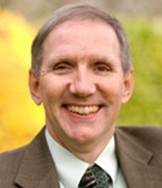 He is currently serving as the Interim Vice President for Mission at Gonzaga. 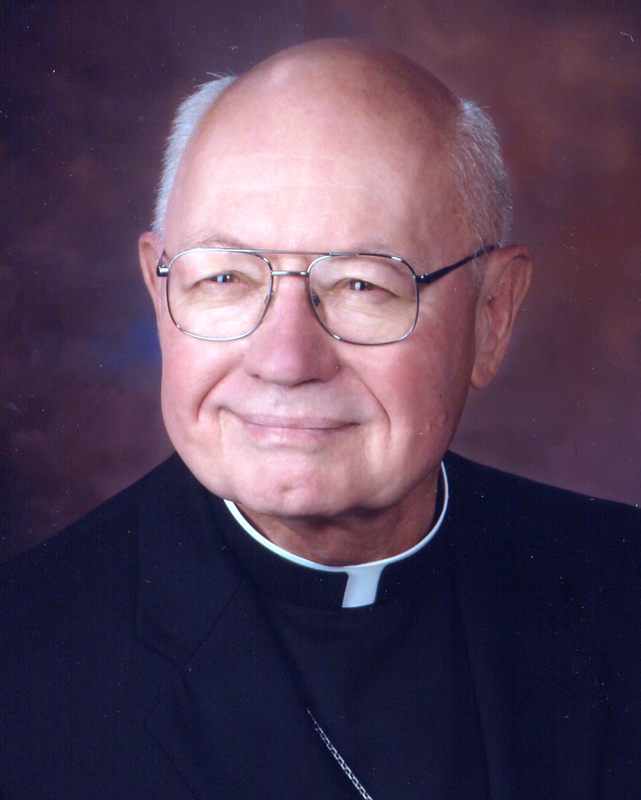 He has directed the Spiritual Exercises of St. Ignatius of Loyola, both in Spokane with the Spiritual Exercises in Everyday Life program and in the Jesuit Retreat Center at Los Altos with the 30-day Retreat. His favorite sport is orienteering, a map and compass race through wild areas. Next fall he will begin working at the Jesuit Novitiate in Culver City. J.L. Drouhard grew up on a farm a few miles from the Columbia River’s Hanford Reach. He continues to “farm” a backyard garden in Tacoma, WA, with his spouse of 40 years, Kathy. There are kids and grandkids. One of them in 1995 drew this picture of J.L. ; his looks haven’t changed. 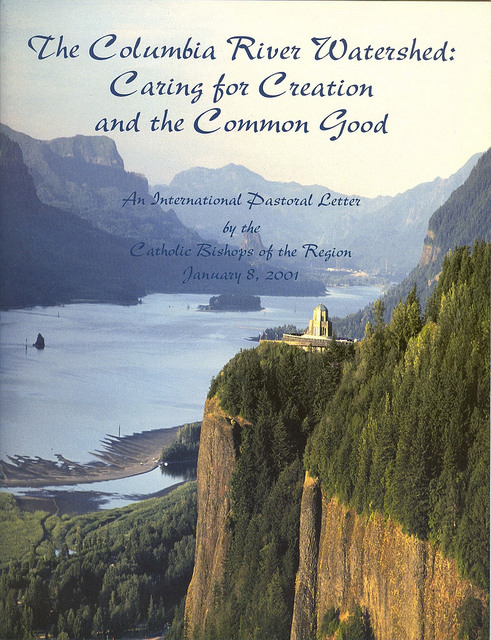 Since the time of the Columbia River Pastoral Letter project, J.L. has continued to serve at the Archdiocese of Seattle, currently staffing the Missions Office (includes the Catholic Campaign for Human Development and Catholic Relief Services). 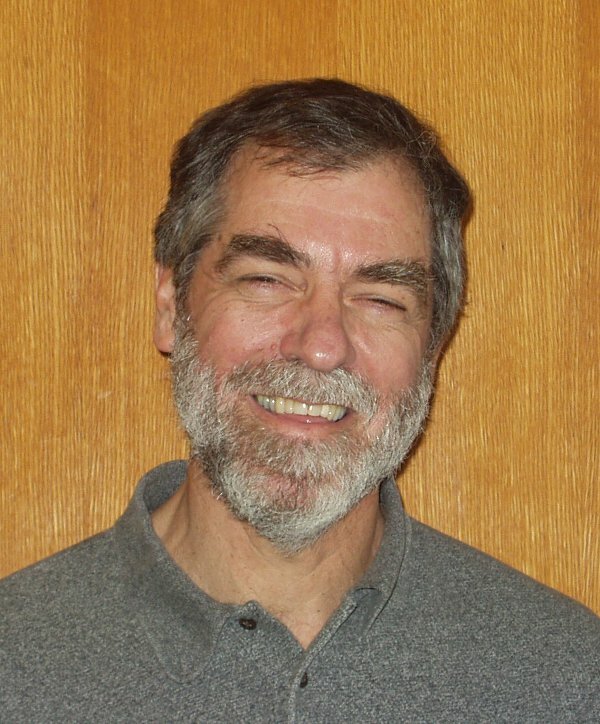 John Hart is Professor of Christian Ethics at Boston University School of Theology. He lives in Boston during the academic year, except for Thanksgiving, Christmas holidays, and Spring Break, when he travels to Montana, his primary residence. He taught at Carroll College in Helena for almost twenty years before moving to Boston a dozen years ago. John Hart and Jane Morell-Hart celebrated their 40th wedding anniversary in August, 2015. Jane retired on July 4, 2015 (what she calls her ‘independence day’) after being Director of and a teacher in Pete’s Place Child Care Center at St. Peter’s Hospital, Helena. Jane lives in their home on the lower slope of Mount Helena year round, except for occasional trips to Boston. John and Jane have two children: daughter Shanti, an archaeologist teaching paleoethnobotany at a Canadian university and doing summer research at indigenous peoples’ pre-Columbian sites in Mexico; and son Daniel, a school psychologist in the Portland, OR school district, where he is an advocate of student wellbeing. The family reunites every Christmas in Helena, where Shanti’s and Daniel’s ‘significant other’ join the celebration, and every summer in New Mexico for the extended family reunion. John and Jane enjoy hiking in the forests and mountains around Helena, and in New Mexico and Colorado during her family reunion. A special treat on Montana hikes is seeing native birds, and an occasional deer, antelope, fox, bear, or herds of elk. On occasion, John takes and plays his Native American flute, and they both enjoy the echoes sung by nearby hills in response. They enjoy, too, short ‘road trips’ to places of scenic beauty in the Pacific northwest, and occasionally into British Columbia; and, walking around Helena and meeting Montana friends. Loretta Jancoski, Ph.D. is the Dean Emerita of the School of Theology and Ministry at Seattle University. While there, Loretta founded programs in eco-spirituality and environmental theology as well as a Center for Water and Ethics. Her preferred theological focus is on discerning the implications of our universe’s evolutionary journey for Christian spirituality and doctrine. She sees eco-spirituality and eco-theology as a grand opportunity for Christians of all denominations to work together to create the kindom Jesus proclaimed. While at Seattle University, she worked for two years with the Lower Hood Canal Coordinating Committee helping them address the canal’s serious water problems through spiritual and ethical lenses. For over ten years she served on the Board of Directors for Earth Ministry and played an active role in their educational, preaching, and advocacy programs. Currently, she serves on the Board of Directors for “Friends of North Creek Forest” an organization saving a 64 acre forest from development and creating educational, research and preservation programs for the hundreds of volunteers who come to the forest. Loretta has been an educator all her adult life, teaching elementary, middle school, high school, and university students. She and her husband live on 1.25 acres in Mirrormont south of Issaquah where they “care for creation” with love and no chemicals and tend to the forest of trees that grow on most of the acreage. They have two grandsons who give them hope and purpose: doing what they can to ensure a future where all of Earth’s creatures, human and otherkind, have uncontaminated food, water, and soil to sustain them. I am currently residing at a continuous care retirement center with 475 exciting and accomplished seniors who have come here from all over the USA and even from abroad. The site is that of our former Provincial House and the land around it. My team (when I served as Provincial Superior) and I were responsible to provide for the retirement needs of Sisters who, like other women religious, had an un-funded retirement—while also carrying on our Mission of service to humankind, to assist people of all ages to develop their God-given gifts as fully as they could. Though much of my life I have served as theology professor in seminaries, primarily to prepare ministers of many religious traditions, I now have the privilege of doing some spiritual direction, offering parish or group retreats, and facilitating classes for seniors of all faiths at Mary’s Woods. We enjoy together the exploration of Mystics in the World Religions, Reading History Through Religious Art, and other courses that help us see the Wisdom in many religious traditions. John Reid is the founder and a partner with The Reid Group since 1997. John focuses his work as a Reid Group consultant in the areas of prophetic planning with Catholic dioceses and religious communities, executive searches and mediation. Previously, he worked with the Archdiocese of Seattle for 18 years where he had responsibilities for formation, training and placement for lay and ordained ministers, and was also the Coordinator of Transition Services. John also worked at the University of Notre Dame and is a former Catholic High School teacher. 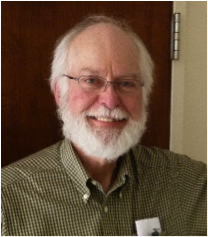 He is a past chairperson of the National Association for Lay Ministry (NALM), co-authored The Art of Change: Faith, Vision and Prophetic Planning and served as project manager for the Columbia River Pastoral Letter Project. John is married to Maureen Reid since 1972 and together they are the parents of two adult sons, Tim and Chris. John has given talks and workshops nationally on topics of Leadership, Collaboration, Planning and Transition. He holds Master degrees in Divinity and Administration from the University of Notre Dame. Rev. Carla Berkedal, Mercer Island, Washington . Rev. John DuLong, Revelstoke, B.C.